The camps include workshops on math, science, art and physical fitness. 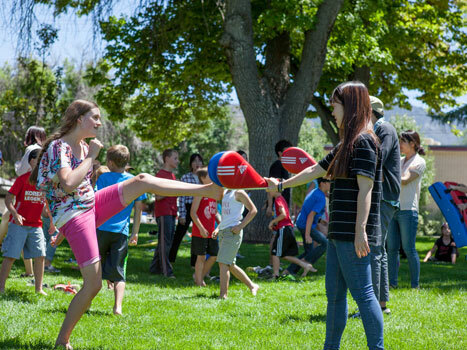 The first camp was held July 5 – July 15 and had 40 local students participating from many surrounding schools including South Elementary, Iron Springs and East Elementary. Cason Blodgett, a local fourth grader from Iron Springs Elementary School, said he was surprised to find out Koreans like many of the same things he does, like Pokémon, even though they’re from the other side of the world. Monica, a student from Kongju National University of Education, explained that Korean classes are lecture-based and have little class participation. The last free summer camp starts July 25 and runs until August 4. For more information or to register contact Johnny Oh at oh@suu.edu or 435-865-8198.